Still fresh in the minds of many, last year Cambodia faced its worst flooding in many decades. Hang Davi, a Cambodian farmer, declared at the time, “This flood is the biggest I have ever seen in my life. The floods have completely destroyed our hope.” The flood affected over 1.5 million people, killed 250, inundated 400,000 hectares of cultivated land, and caused estimated losses of $520 million. While the causes of the flooding are numerous, one of them is likely climate change, which scientists have found will cause more frequent occurrences of extreme precipitation events. We bring up the flooding because once again countries around the world will meet in Qatar at the annual Conference of Parties next week to discuss how the world will address climate change. 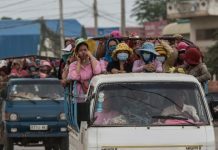 It is prescient for the sake of Cambodia that they make great strides to both commit to immediate, long-term cuts in their carbon emissions and to help developing countries adapt to the impacts of climate change. 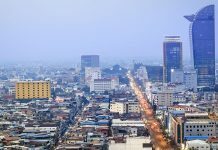 This is especially important for Cambodia because while the country hardly contributes any greenhouse gas emissions, emitting only 0.29 tons of carbon dioxide per capita per year, it is also one of the most vulnerable countries to the impacts of climate change, especially to floods and droughts. Cambodia’s high vulnerability is largely due to the fact that the livelihoods of the vast majority of Cambodians depend upon natural resources, including agriculture, fishery and forestry. 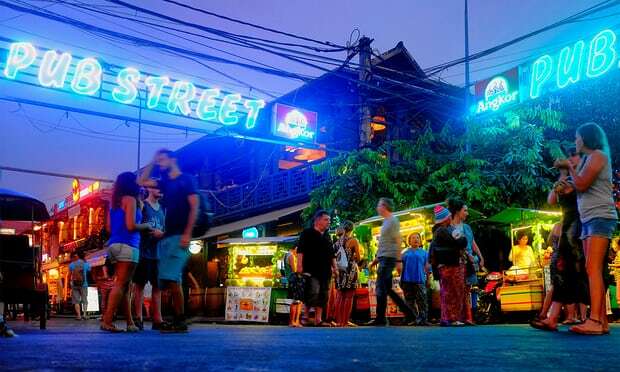 It is also due to the fact that Cambodia has a low adaptive capacity: Nearly 53 percent of the total population survives on less than $2 a day and about one-third of the population continues to live below the national poverty threshold of $0.63 a day. Having suffered immensely, Cambodia’s poor urgently need help from the international community to address climate change or their plight will worsen. In response, a group of civil society organizations in Cambodia, led by the NGO Forum on Cambodia and the members of the NGO Environment and Climate Change Alliance, are working for the interests of vulnerable and poor people and seeking to play an active role in bridging the issues and needs of vulnerable communities to national and international policymakers. Mitigation: In line with more than 100 countries and numerous other civil society organizations, global warming must not rise beyond 1.5 degrees by 2100. A rise in temperature higher than this degree will severely threaten millions of people, especially the poor in developing countries such as Cambodia. Developed countries should pledge to cut their emission by at least 40 percent below 1990 levels by 2020 in order to ensure the temperature rise below 1.5 degrees. Developed countries should also make further cuts immediately, not waiting until 2020. 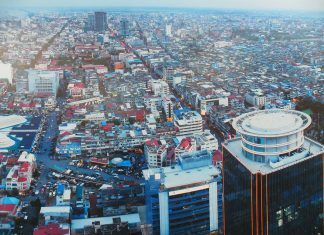 Adaptation is a key priority for Cambodia and all developing countries. The people of Cambodia, including farmers, women, indigenous people, and other affected groups should be compensated for the negative impacts of climate change and for lost opportunities for development. Fast Start Finance of $30 billion should be immediately mobilized at Doha for the period of 2010 to 2012. By 2020, $100 billion per year should be urgently mobilized by developed countries. Further, funding adaptation in poor and vulnerable countries like Cambodia should be given highest priority. Enhanced action on technology development and transfer, including patent rights on climate-related technologies, will be central in enabling the full and effective implementation of the U.N. Framework Convention on Climate Change beyond 2012. UNFCCC should create and properly fund an oversight body that will increase communication between the several established climate change technology transfer initiatives. More efforts and policies than these recommendations are needed but they would constitute a good start. Admittedly, climate change is difficult to address and for any government to sell because carbon emissions are invisible, the impacts are uncertain, and the lowest-cost solutions are unclear. What is clear though is that Cambodia will be one of the countries most adversely affected and so the sooner the international community starts to make more meaningful long-term commitments to both adapt to and mitigate climate change, the lower the costs will be and the less vulnerable Cambodians will be to its effects. Chhith Sam Ath is the executive director of the NGO Forum on Cambodia and Ung Soeun is the coordinator of the NGO Environment and Climate Change Alliance. Both of them will attend the COP-18 in Qatar.